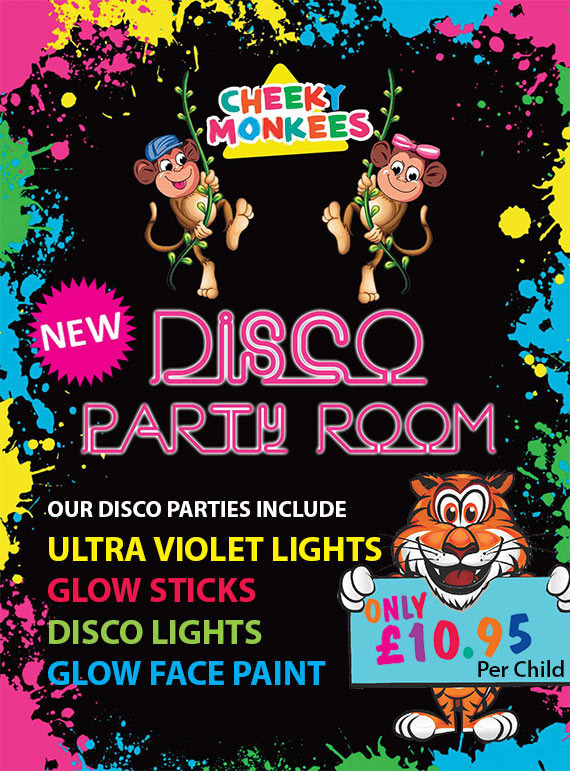 Cheeky Monkees spectacular Disco Parties include Glow Sticks, Disco Lights, Ultra Violet Lights and Glow in the Dark Face paints for that perfect disco Experience. Tickets for our Disco parties cost £10.95 per child. For more details on this please call us on 01536 443310 or fill in our Contact Form to get in touch with us via email.